WELCOME! We are glad to have you stop by and set a spell. Please enjoy your stay. We have the best that Old Family Red Red Nose have to offer. Click here to visit Patty Ballard at her other business. VISIT OUR WINNERS CIRCLE ! !Click Here to See More! HEADS UP! WE ARE PROUD TO ANNOUNCE A SUCCESSFUL BREEDING ON SEPT. 15th 2009 BETWEEN REBA & ROWDY! SECURE YOUR DEPOSIT. PICKS ARE BEING FILLED QUICKLY! REBA IS OFF OF TIGER AND RICKY AND ROWDY IS OFF OF BEAR AND RUBY. NEW PICTURES WILL BE POSTED VERY SOON. CALL FOR DETAILS 910-340-1107. 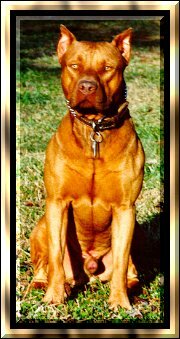 RED RANGER KENNEL IS OFFERING STUD SERVICE. STUD SERVICE WILL BE OFFERED FOR SHORT TIME TO APPROVED FEMALES. Click here to view Bear and Ruby and pups from a past litter. 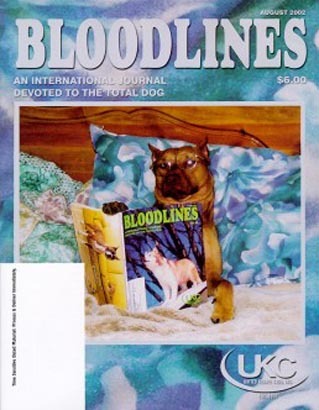 Please note that these pictures are from a past litter. 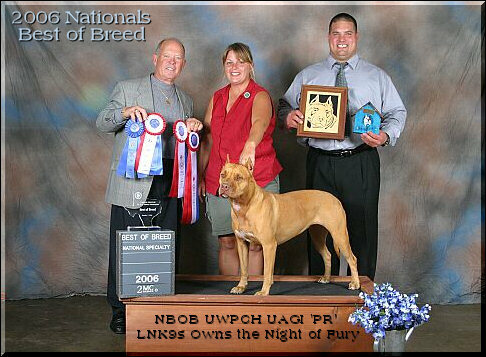 Introducing the NEW UKC Nationals Best of Breed Winner NBOB UWPCH UAGI 'PR' LNK9s Owns the Night of Fury. Fury is the granddaughter of Red Ranger and Red Flash Fire. We are so proud of Fury and her owner Lori Bowling! 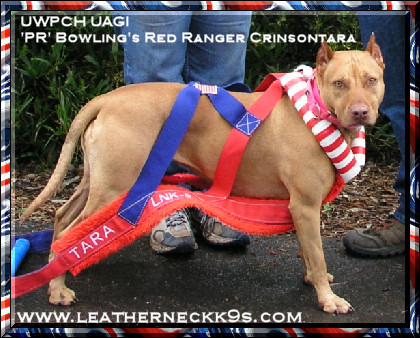 UWPCHV UAGII 'PR' BOWLING'S RED RANGER CRIMSON TARA IS A NEW WEIGHT PULL CHAMPION! Click here to view Tara's home page. Be sure to hit the back button to come back to our site. PR AMBERLITE COLUMBIA RIVER RED RANGER RIO IS A NEW GRAND CHAMPION! 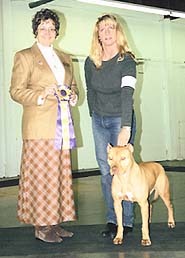 RIO PICKED UP HER 5th CHAMPION OF CHAMPION WIN ON FEB.8 UNDER JUDGE JUNE PASKO GIVING RIO THE TITLE OF GRAND CHAMPION. RIO WON AT THE CASCADE CLUB IN PORTLAND OREGON. SHE IS OWNED BY CAROL AND GARY STEHPENS OF VANCOUVER WASHINGTON. UWPCHV UAGII 'PR' BOWLING RED RANGER CRIMSON TARA MAKES THE COVER OF UKC'S MAGAZINE! CH "PR" Red Ruckus takes 1st place (beating out all the males in the 65-75 pound class) in weight pull at the ADBA Show, held in Canada, August 12th, pulling 2650 pounds. 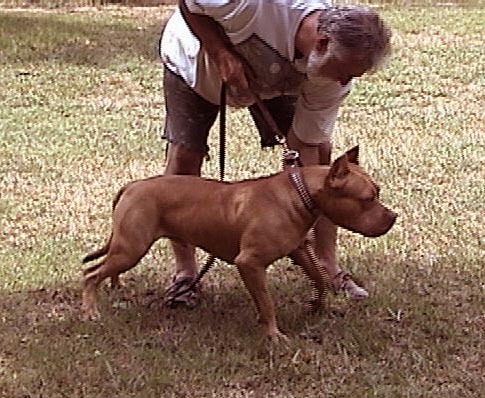 Ruckus is owned by Tim Auringer. 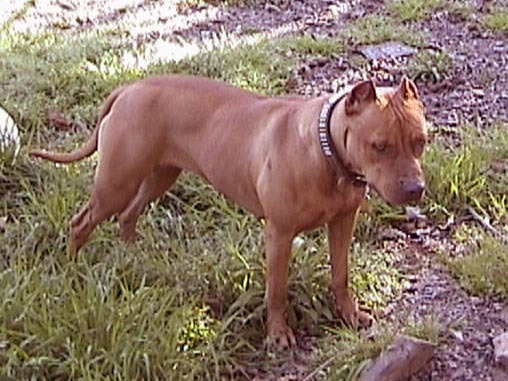 Ruckus is a grandson to Ranger and Red Ranger Sassy. 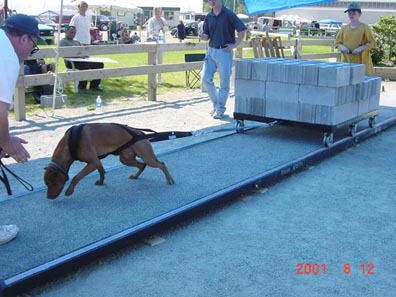 Ruckus has earned himself a place among some of the best weight pull dogs in the Western United States. Taking first place in his weight class in Salt Lake City Utah pulling 3,650 pounds. Enjoy your visit and please return soon for updates. Please come back and visit me soon! All photos and text are © 1999 and are property of Patty Ballard. Additional help and brainpower provided by Carol Gaines-Stephens!